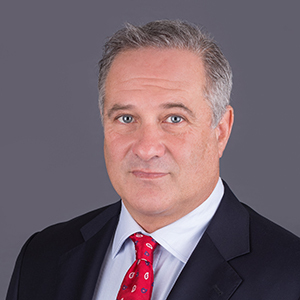 Jay helped found Berlandi Nussbaum & Reitzas LLP (“BNR”) in 2011 with his friends, Brian L. Berlandi and Joshua T. Reitzas, and in short 7 years, was an instrumental part of growing the firm to over a dozen attorneys, three offices and named as a Superlawyers law firm. In April 2018, BNR lost Jay to complications from cancer. After beginning his career in private practice with a general practice firm in New York City, Nussbaum became Senior Vice President/General Counsel to New York City-based commercial investment sales brokerage, Team Companies, then took the same position with Cooper Square Realty, which is today New York City’s largest property manager. After leaving Cooper Square, he served as Senior Vice President/General Counsel to prominent New York City mortgage bank and investment company, Mercury Capital Corp., where, in addition to handling all legal work in connection with its $50 million per year origination business, he invested on Mercury’s behalf as principal in the purchase of several portfolios of non- and subperforming commercial mortgages. Nussbaum was responsible for the entire life cycle of each of these transactions, from negotiating and structuring acquisitions, to closing, and finally to workout. In addition, during his tenure at Mercury, Nussbaum accessed capital sources, negotiated strategic alliances and raised funds for various private equity transactions. In terms of originations and third-party transactions, he was involved in a non-stop chain of transactions, including sourcing, structuring and closing the largest and most complex transaction in the company’s history to that point, a $12.3 million mezzanine portion of a $52 million avenue office deal in Midtown Manhattan. Following his departure from Mercury Capital, Nussbaum worked in publishing, and published various journals, newsletters and books. Among others, he served as Editor-in-chief for the Real Estate Finance Review, and subsequently published the Mortgage Law Compliance Insider, the Insider’s Guide to Managing Community Associations, as well as two commercially successful novels. During these years he gained a great deal of experience with a variety of publishing industry contracts, lectured often at law seminars and universities nationwide, and continued to specialize in transactional real estate law, executing numerous transactions including acquisitions and dispositions of real property, distressed commercial mortgage portfolios, and ongoing businesses, project and mortgage finance, corporate law, commercial leases and a variety of land use contracts such as easements and licenses. He also drafted offering plans and amendments for luxury condominium and residential/retail mixed-use projects, several of which included public-private components. Participating in development of marketing materials such as banner advertisements, email creatives and landing pages.